If successful, the deal could put an end to the Kushner family's search for a partner to bail out its money-losing investment. NEW YORK — Jared Kushner’s family real estate company is in talks to sell a stake in its struggling Manhattan skyscraper, potentially ending a global search for cash that has been criticized for raising conflicts with Kushner’s ties to the White House. A person familiar with the matter told The Associated Press on Thursday that a fund overseen by Brookfield Properties is negotiating to buy a substantial stake in Kushner Cos.’ flagship property at 666 Fifth Avenue. If successful, the deal could put an end to the Kushner family’s search for a partner to bail out its investment in the 41-story tower, which has been losing money ever since then-CEO Kushner bought it for a record $1.8 billion more than a decade ago. With the clock ticking on a $1.4 billion mortgage due in February, the Kushner Cos. has been scouring the globe from China to Qatar in search of partners. That hunt has drawn criticism from Congressional Democrats and watchdog groups for potentially involving money tied to foreign governments that could compromise Jared Kushner’s current role as an adviser to his father-in-law, President Trump. A Kushner Cos. spokeswoman declined to comment. Brookfield Properties did not confirm the negotiations, but disputed news reports linking any possible investment to Qatar. “No Qatar-linked entity has any involvement in, investment in or even knowledge of this potential transaction,” an emailed statement said. The AP source, who was not authorized to speak on the talks and requested anonymity, noted that the Brookfield fund that is negotiating with the Kushners is separate from the publicly traded Brookfield Properties Partners, in which the state-owned Qatari Investment Authority is a shareholder. The Kushners had originally planned to save their purchase of the 1950s-era, aluminum-clad building by razing it and replacing its offices with luxury condominiums and a hotel in a tower twice as high. But that required hundreds of millions of dollars that the Kushners didn’t have. The family had hoped as late as March last year that a Chinese insurer with ties to the ruling Communist Party would come to the rescue, but the talks were called off after news broke of the negotiations and critics pounced on China possibly using the investment as leverage with the White House. 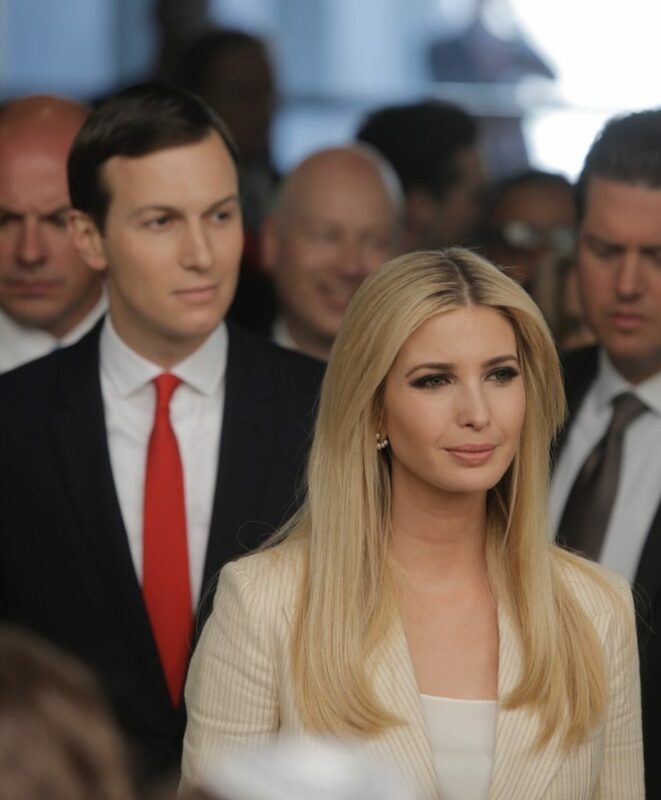 With no help from abroad, the Kushner Cos. turned to Plan B: Buy out its nearly 50 percent partner in the building, Vornado Realty Trust, refurbish the old offices and attract new tenants. The building’s offices are about a third empty.